Prisoner to fickle weather conditions, family farms can thrive by diversifying revenue streams and exploiting growing consumer demand for local produce. While the United States remains one of the world’s top agricultural producers, some observers would argue that the American farmer’s heyday has long since passed. Nevertheless, there remain millions of farms across the country, producing everything from milk to oranges to livestock. And despite the rise of the mega farm, the overwhelming majority are small, family-owned businesses that have operated for two or more generations. As recently as the 1930s, agriculture was still America’s premier occupation. Although the Industrial Revolution had urbanized a number of population centers and factory work boomed, there remained 6.8 million farms in operation across the country. But that number had plummeted to 2.1 million by 2012. Improvements in farming technology, storage, transportation and other factors increased agricultural productivity to not just keep pace with growing demand from a booming population, but usher in an era of cheap food and agricultural commodities too. Feeding a growing population remains the industry’s central mission. But on a commercial level, the small family farm is confronting a number of difficult challenges in the early part of the 21st century. A family-run farm – whether set up essentially for subsistence or as a profit-building venture – is an inherently risky business in several ways. Success is largely dependent on weather, a factor entirely beyond the farmer’s control and one of the ficklest foundations there is. The price of farm products is highly variable also depending on weather elsewhere in the world, which affects the volume of competing imports. Meanwhile, government subsidies, which tend to favor mega farms, are a source of resentment among independent farmers. That said, the family farm hasn’t survived these challenges in such large numbers without a few strengths of their own to draw on. Consumers have long sympathized with the family farm, a reservoir of goodwill that restaurants and food manufacturers have increasingly exploited in recent years. A “seismic shift in how people eat” has also benefited small independents, whose produce is generally perceived as superior in taste, nutritional value and environmental credentials. Few occupations can fulfil the urban dweller’s bucolic dreams like farming. Living in tranquil seclusion and reaping a bumper harvest after months of sowing and cultivating of crops, farming is a lifestyle that contrasts profoundly with a frenetic life in the city. Physically demanding admittedly, farming nevertheless fits naturally with the family dynamic. Early mornings will hardly be a culture shock to anyone with young children, who naturally take great pleasure in running through the fields or helping to feed animals. Every family member can get involved. In many cases a small family farm can produce most, if not all, the food needed to keep the family nourished, liberating a huge chunk of the family budget. Can the family farm still thrive or even survive? There are two ways to answer this question and help decide on the wisdom of buying a farm. The economic outlook isn’t entirely positive. The USDA Economic Research Service’s U.S. Farm Income Outlook for 2015 projected national net farm income to be down 32% on 2014, making 2015 the lowest net income year since 2009, the height of the Great Recession. Net cash income is projected to be down 22.4% for the same period. On the other hand, farm asset values are projected to rise slightly (0.4%), which indicates some optimism on the part of investors and lenders, albeit less than the previous year. But there is a way to reduce your vulnerability to these headwinds if you buy a small family farm. Many farmers insulate themselves from volatile crop prices by diversifying revenue streams, whether by widening their range of crops or leasing land to event organizers or mobile homes. 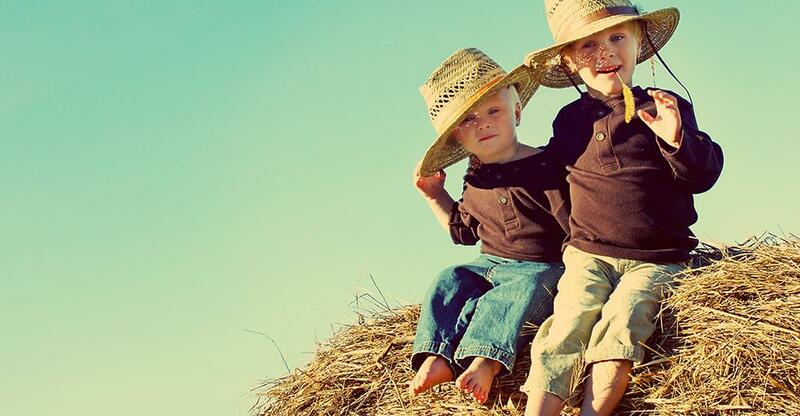 As many as two-thirds of existing family farms do not have a successor named within the family, because so many farmers have encouraged their children to pursue careers outside of agriculture. This is creating a buyer’s market for farm land, buildings and equipment that are increasingly concentrated in the hands of an aging demographic. So while farming is in some ways an increasingly difficult living, diversification and growing consumer demand for local produce can give you every chance of thriving as an independent farmer in the age of the mega farm.